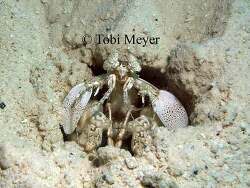 Mantis shrimps fit into the Crustacea phylum in the class Malacostraca, subclass Hoplocarida, which means armed shrimp, and order Stomatopoda. 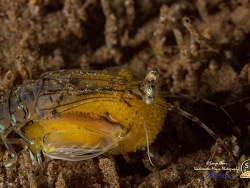 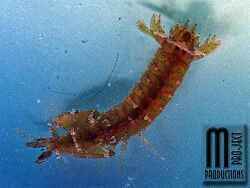 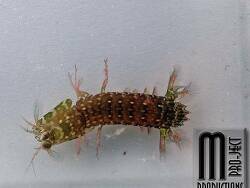 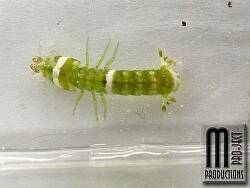 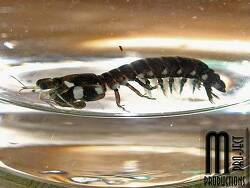 The stomatopods are divided into 15 families, 80 genera and over 400 species. 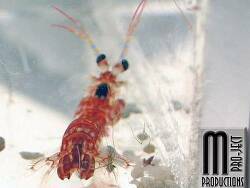 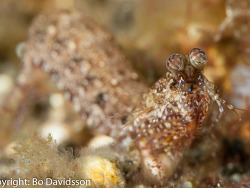 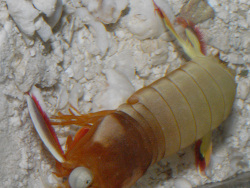 They are long, shrimp like crustaceans with sharp spines on the tail, two well developed eyes on short stalks, and long claws the fold neatly out of sight under the head. 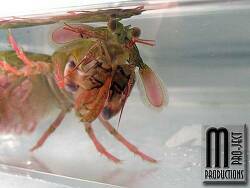 Mantis shrimps are found in tropical waters worldwide and are experts at catching and killing prey, being very clever, stealthy hunters. 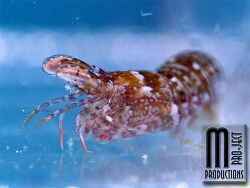 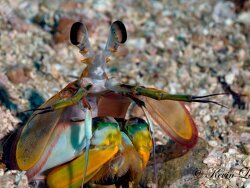 Mantis shrimps are carnivores and will eat just about anything and everything which is not fast enough to hide, or even too large to eat. 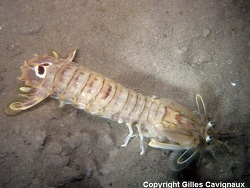 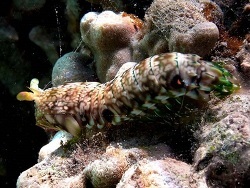 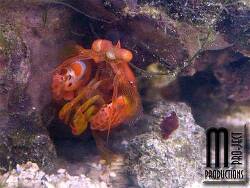 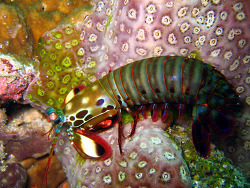 Most species of mantis shrimp live alone, but there are some species that live in pairs for life. 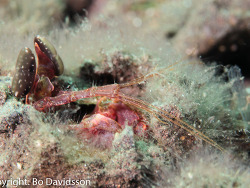 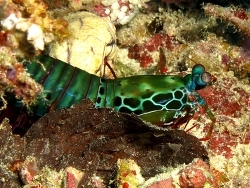 Mantis shrimps can live in burrows and crevices on coral reefs, or on the seabed down to a depth of 1000 metres and more. 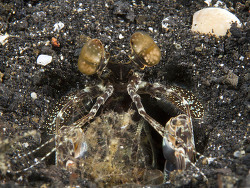 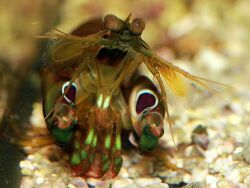 Mantis shrimps are not related to shrimp, but are referred to as shrimp because of their front appendages and how they use them to capture food. 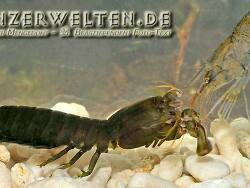 There are two hunting categories known, the spearers and the so called smashers. 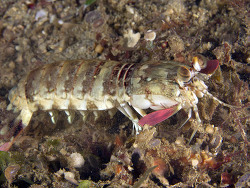 The spearers use their spear-like claw to silently stab soft tissued prey. 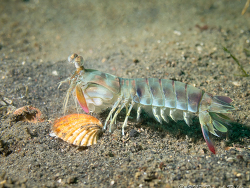 The smashers use their forceful, club-like claw to hit, crack open or pulverize harder bodied prey. 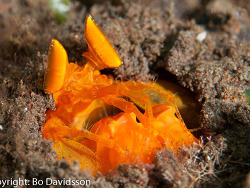 Gonodactulidea: smasher and some spearers. 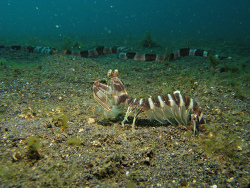 Lysiosquilldea: spearers and some smashers.